PRESS RELEASE VANCOUVER, BC – Emma Boyd, British Columbia’s new rising superstar, is getting ready to head off to the 2017 World Junior Championships which is being held at Newport IBC in Wales, UK this week. The tournament will be held from December 5th to 8th with players competing from England, Guernsey, Isle of Man, Ireland, Scotland and Wales. 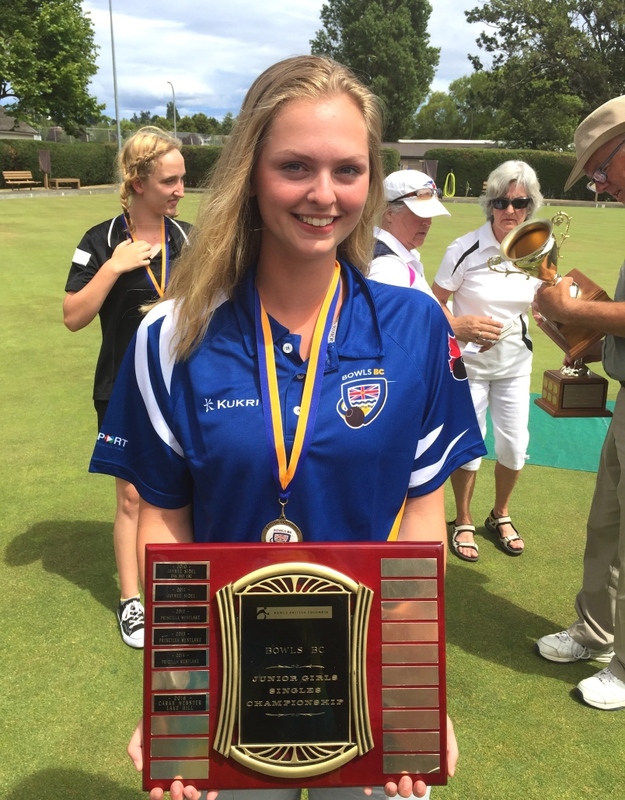 World Youth Champion Pricilla Westlake recently sat down with Emma to speak to her about her upcoming trip, how she is feeling about making her debut for Canada along, with some questions regarding her pathway in the Sport of Lawn Bowling leading up to her first International tournament. Last year Bowls BC formed a partnership with the WIBC as Lynn Coules and Ed Logan went over to represent British Columbia at the World Indoor Bowls Senior Championships. This has been a great avenue for our players to display their Indoor Bowling skills as we have the opportunity to train at the Pacific Indoor Bowls Club throughout the year. You can follow all the action and Emma’s results in Wales through the links below. Bowls BC would also like to wish Erik Galipeau (ON) and Owen Kirby (ON) the best of luck in their journey overseas as they will be competing in the event as well. They have made their way there through PBA Canada which has opened the doors for them to compete in the UK based tournament.